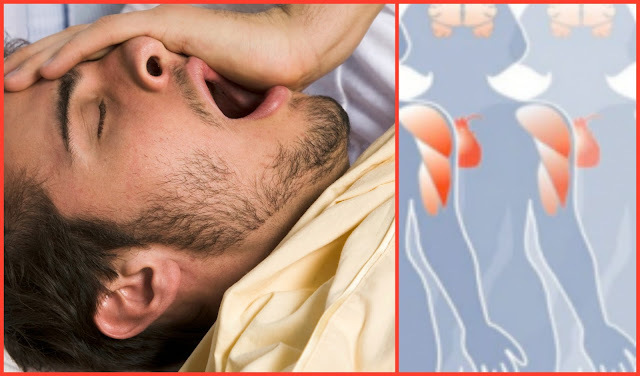 Home body health health news healthy healthy sleep sleeping worldhealthinfo BAD SLEEP CAN CAUSE HEART ATTACK AND STROKE – HERE’S HOW TO PREVENT IT! Let’s all agree on one thing – sleep is one of the great mysteries of life. Well, we still don’t understand exactly why we sleep – although we are learning more about it every day. We do know, however, that good sleep is one of the cornerstones of health. Six to eight hours per night seems to be the optimal amount of sleep for most adults, and too much or too little can have adverse effects on your health. The experts also say that sleep is essential for a healthy heart. People who don’t sleep enough are at higher risk for cardiovascular disease—regardless of age, weight, smoking and exercise habits. Keep the temperature in your bedroom no higher than 70 degrees F. Studies show that the optimal room temperature for sleep is quite cool, between 60 to 68 degrees. Get to bed as early as possible. Your body does a majority of its recharging between the hours of 11 p.m. and 1 a.m.